In October 2011, I presented a talk at the 2nd meeting of the (then) new ScalaSyd Meetup. I talked through the “Top 10 Reasons Java Programs Envy Scala” in an attempt to give Java developers a taste of some little things that could make them much more productive if they switch to Scala. Interestingly, in almost 4 years, very little has changed. Yes, Java 8 now has lambdas, but the standard collections library still makes very little use of them, forcing you to convert any collection to a stream before lambdas can be used, and pretty much nothing else mentioned in the talk has made its way into Java SE. 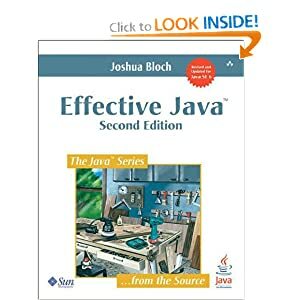 People are still writing up lists of how to use Java better, but the fact is that a lot of Java best practices are either built into or easier to achieve in Scala. follow your way through the Prezi below that. You know Murphy’s Law, right? Or at least you know the way most people remember it: “Anything that can go wrong will go wrong.” It’s a fairly depressing way of summarising life, but we all recognise a large portion of truth within it. Things go wrong. All the time. If there are two or more ways to do something, and one of those results in a catastrophe, then someone will do it that way.